Leaflets are being delivered around the town this week to let the community know that, after five years of research, consultation, planning and preliminary designs, St Mary’s church is now ready to submit a planning application for the building of a Community Room; an annexe on the south side of the church. 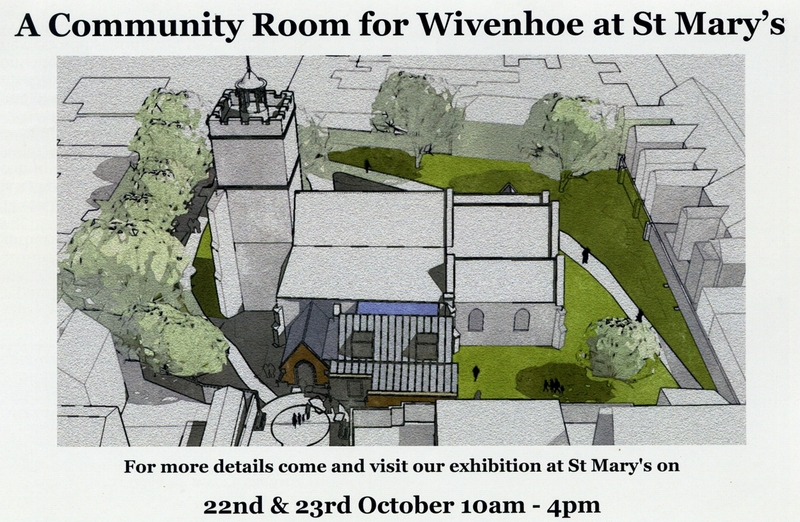 The leaflet gives information about an exhibition at St Mary’s on 22 and 23 October, 10 am – 4 pm with presentations at 12 noon and 3 pm (3 pm only on Saturday 22nd). Members of the building committee will then be on hand to give explanations and answer questions. The full leaflet can also be seen here. This entry was posted in Uncategorized and tagged community, community_room. Bookmark the permalink.